Recipe photos show a doubled recipe. Place peppers on a foil lined baking sheet and roast in a preheated 400 degree oven for about 17 minutes. 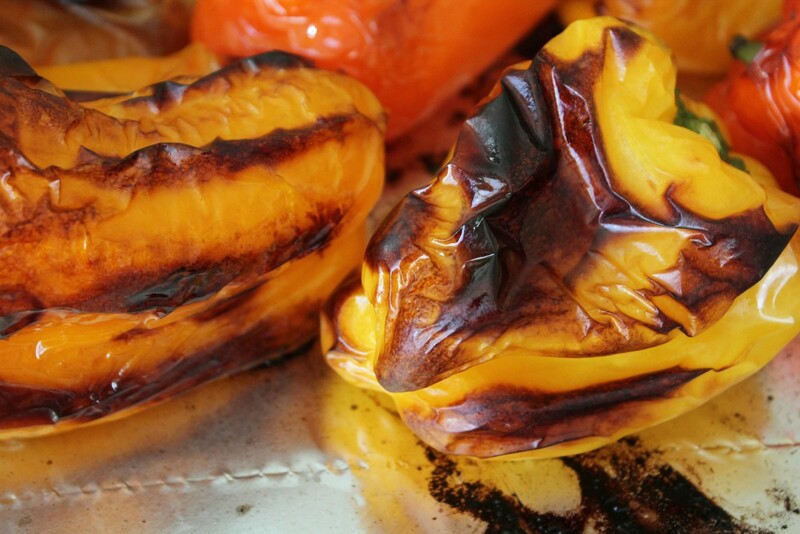 Turn peppers over and continue cooking for another 17 minutes or until skin is browned and wrinkled. (See photo) Place cooked peppers in a bowl and cover allowing them to sweat. Once cool enough to handle, remove skin/seeds and coarsely chop. For vinaigrette, dissolve paprika in water. Add paprika mix to the remaining ingredients and stir to combine. Pour vinaigrette over peppers and allow to marinate overnight in the refrigerator.